Get set for Bramley's first Parkrun! | West Leeds Dispatch | News. Views. Get involved! Get your running shoes on, Bramley Park is set to stage its inaugural ‘Parkrun’!Bramley Parkrun is a free weekly 5km event for runners of all standards, which will take place every Saturday – from June 13 – at 9am in Bramley Park, Westover Road. It offers an opportunity for all the community, male or female, young or old, to come together on a regular basis to enjoy the park and get physically active into the bargain. Organisers want to encourage people to jog or run together irrespective of their ability so the event is truly open to all. Every week there will be a post parkrun coffee in Munchies in Bramley shopping centre which runners are welcome to come along to. Maybe swap stories about your run that day, chat to other runners over a cup of tea or coffee and just be an important part of this new running community. So whether you are a complete novice looking to get yourself started on your own “running journey” or a seasoned athlete wanting to use this as a part of your training schedule, you’re welcome to come along and join us. To register or for more information, visit http://www.parkrun.org.uk/bramley/. 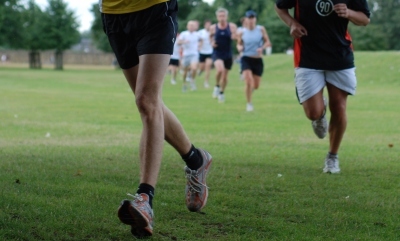 The event is entirely organised by volunteers – email bramleyhelpers@parkrun.com to help.